The building site of FairMail’s future office in the Casi Casa complex already proved useful as background for a tailor made card order from one of our corporate customers. The Dutch eco-building company “Building Traditions” asked our teenagers to come up with an image transmitting the company’s values: diversity, sustainability and cooperation. As Building Traditions offers eco-friendly mud built housing solutions to its clients the FairMail teenagers needed a nice and quiet place with a lot of mud to work on their ideas! After drawing their ideas on paper and presenting it to their fellow team members they got to work, often inviting little brother, sisters and neighbours as models for their fair trade photographs. Besides using Casi Casa as photography set the kids also took pictures at local archaeological sites (the world’s largest mud city Chan Chan), at a mud brick factory and in their own neighbourhoods. 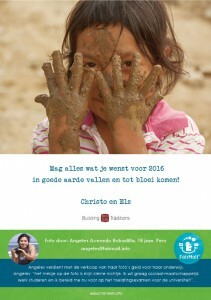 In the end 18 year old Angeles shot the winning image of her niece playing with mud in the street where they live. 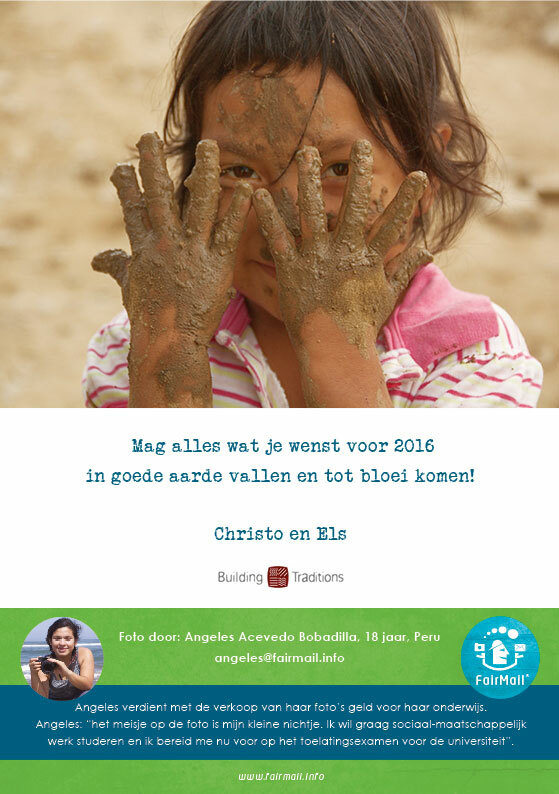 Christo, Building Traditions director, choose this fair trade image for their corporate card to send to their customers and relations. 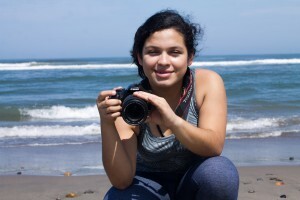 Angeles received 60% of the profit FairMail made to invest in her own education. Money that was very welcome as she is currently preparing for the university entrance exam to study Social Work. If you would also like the FairMail teenagers to go on a photography assignment for you, please contact us here so we can send you more information.